Good morning. It's Tuesday, Feb. 19. • Models suggest a mega-storm could flood dozens of cities. • Why people in Loma Linda live longer than the rest of us. • And Yosemite puts on one of nature's most dazzling shows. The border wall in San Diego last month. A group of 16 states led by California filed a lawsuit against President Trump's emergency declaration to fund a border wall, accusing him of violating the Constitution's separation of powers. Xavier Becerra, California's attorney general, said Trump had undercut his own claim that an emergency existed on the border. "Probably the best evidence is the president's own words," he said, referring to Trump's comment on Feb. 15: "I didn't need to do this, but I'd rather do it much faster." Now that Gov. Gavin Newsom has scaled back the vision of California's high-speed rail to a route from Bakersfield to Merced, Republicans and some Central Valley leaders are asking whether the shorter line is worth it. "This will do no good if it's only from Bakersfield to Merced," said Fresno Mayor Lee Brand. 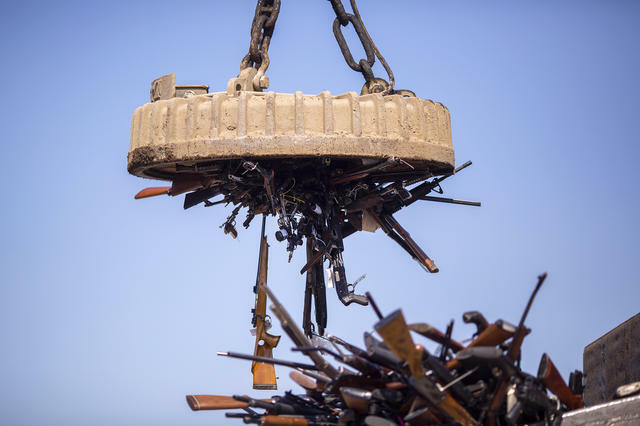 Thousands of seized guns were melted down at a facility in Rancho Cucamonga last summer. California keeps a database unlike any other in the country that checks gun sales against records of criminal convictions and mental health holds. Special agents then go to the homes of people flagged as prohibited gun owners and seizes their weapons. While thousands of firearms haven been recovered, the authorities have struggled to keep up with the growing list of flagged names. "We just don't have enough manpower," an official said. Firefall photos posted to Instagram. It's that time of year when Yosemite puts on one of nature's most dazzling shows. For a couple weeks each February, the setting sun transforms the park's Horsetail Fall into what looks like a ribbon of glowing lava. 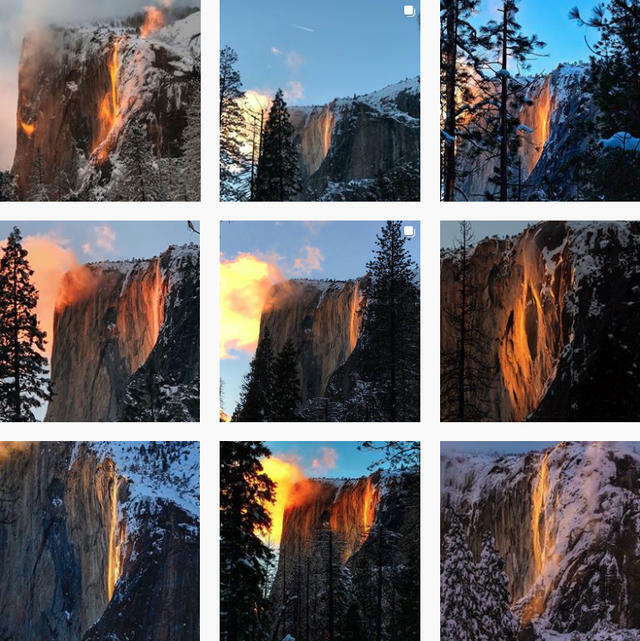 Photographers posted dozens of images of the so-called firefall on Instagram over the weekend. "I can't describe how mind blowing it was to witness this," one wrote. 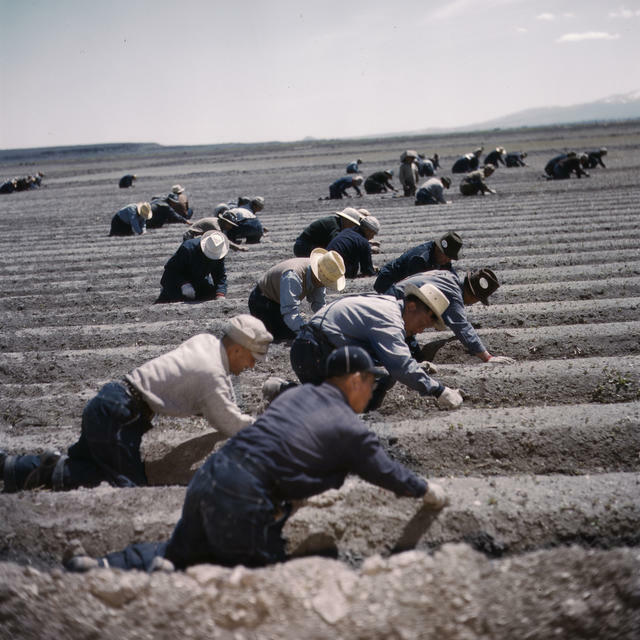 Japanese Americans worked in the fields at Tule Lake Relocation Center, circa 1942. It was on this day in 1942 that President Franklin D. Roosevelt authorized the incarceration of Americans of Japanese ancestry. During World War II, roughly 120,000 Americans of Japanese ancestry were uprooted from their lives along the West Coast and confined at concentration camps across the country. Northern California's Tule Lake camp was considered the harshest, guarded by barbed-wire and tanks. That's because it held inmates who became known derisively as the "no-nos." On surveys, they had answered "no" on two crucial questions: Would you swear "unqualified" allegiance to the country, and would you be willing to serve in military combat? After the war, the no-nos were shunned by other Japanese Americans and struggled to find a foothold in society. Yet for some Tule Lake camp survivors, their no answers were expressions not of disloyalty but of protest. On the allegiance question, one wrote: "Undecided because of the unjust and unconstitutional compulsory evacuation of those citizens of Japanese ancestry and the existing racial discrimination and prejudice." 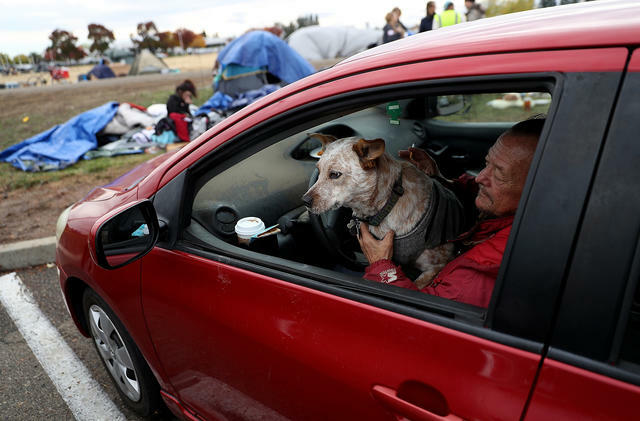 A fire evacuee in Chico last November. The city's affordable housing situation has gone from bad to worse. Butte County's devastating wildfire has jump-started an effort in Chico to build a village of tiny homes for the homeless. Organizers see it as a model for other California cities grappling with housing crises. "People just can't afford conventional size housing," one advocate said. "But a little tiny house, people can afford to rent that." Thousands of public school teachers in Oakland planned to launch an "indefinite strike" Thursday in a call for higher wages and more school investment. High housing costs have forced about 18 percent of the city's teachers to leave each year, a report said. "Enough is enough," a union leader told the Mercury News. "Bargaining with the school district has not worked." One of the world's largest indoor fish farms is coming to Humboldt County. Nordic Aquafarms, a Norwegian company, plans to house the massive facility in an abandoned pulp mill just outside Eureka. The $400 million project would represent one the biggest investments the county has seen in decades. Coach Rob Mendez leads the Prospect High Panthers. 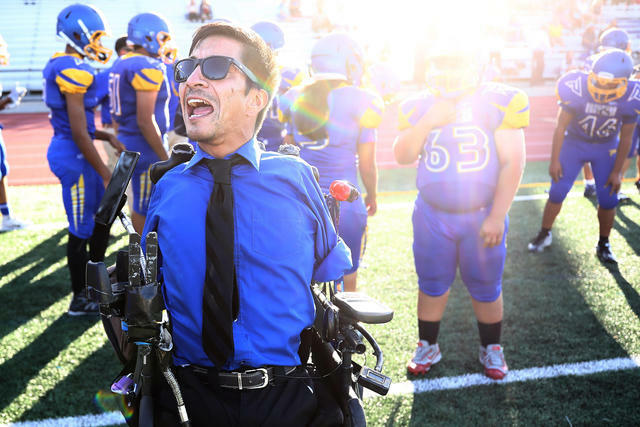 Rob Mendez is unlike any other high school football coach in America. Born without arms or legs, Mendez has never played the sport, yet he leads the junior varsity squad at Prospect High School in Saratoga. It started with the Madden video game, he explained. "It sounds so ridiculous, but it's true," he said. "That's how humans are — they adapt. I couldn't tell you what it felt like to catch a ball in the flat, but I knew what it was and why it worked." Here's a moment in Desolation Wilderness. 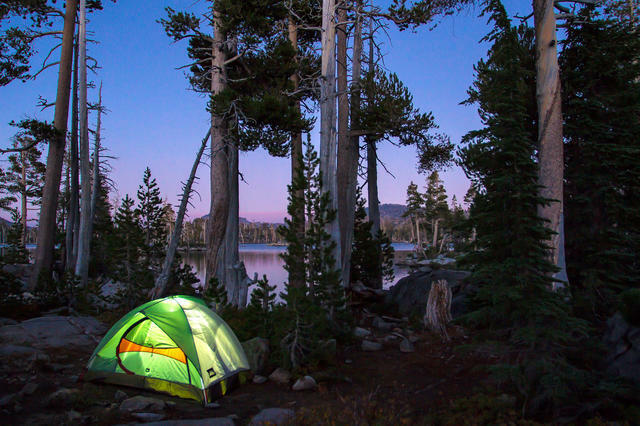 Located near South Lake Tahoe, it's one of America's most popular wilderness areas — for good reason. There are dozens of crystal-clear lakes like Middle Velma Lake, pictured above, scattered like jewels across 100 square miles of alpine forest. A veteran California hiker said it ranked among the prettiest places he'd ever seen in the state. The U.S. Army Corps of Engineers has classified a project to shore up a flood control dam on the San Gabriel River as the agency's highest priority nationally. That's because models predict that a mega-storm could rapidly overwhelm the dam, unleashing floodwaters across dozens of cities. A project engineer stood atop the 56-foot-tall dam recently and looked out at the sprawl of homes. "All you see could be underwater," he told the L.A. Times. 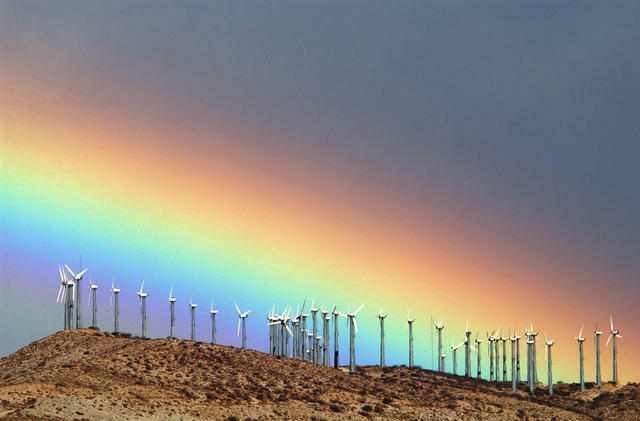 A rainbow filled the sky near Palm Springs. In 2017, Palm Springs elected the nation's first all LGBTQ City Council. Many people celebrated the milestone. But the warm feeling didn't last. The council also happened to be all white in a community that is 25 percent Latino. To avoid a voting rights lawsuit, the council changed the way members will be elected, effectively guaranteeing an end to the all-LGBTQ council's tenure in November. Homeless people slept in cardboard boxes on a rainy night in Los Angeles. A common myth holds that homeless people migrate west to escape the cold. 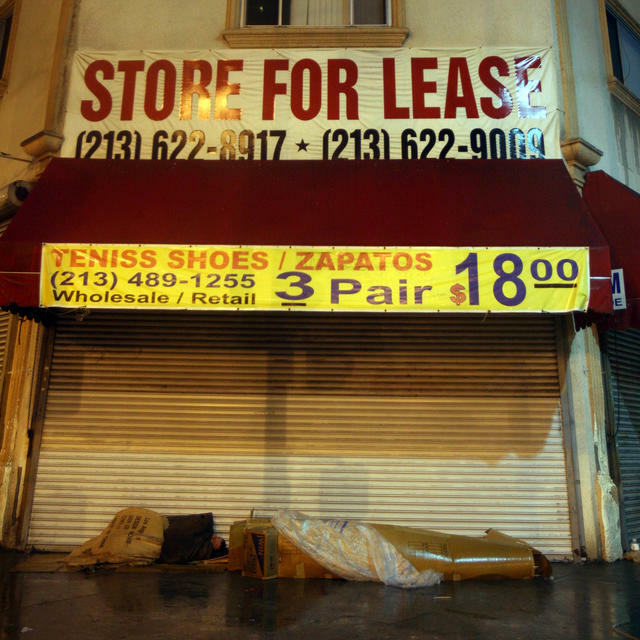 Yet more homeless people die of the cold in Los Angeles County than they do in New York City. Experts say hypothermia causes so many deaths in L.A. because 39,000 people live outdoors there, far more than other metropolitan areas. Some die in plain view: One man sat freezing outside a business for two nights in January 2018 before someone thought to call 911. It was too late. Pollution spilling into San Diego from the Tijuana River Valley is more hazardous than many locals realize. Testing since last year has found carcinogenic chemicals, such as the pesticide DDT and dangerous industrial compounds like hexavalent chromium. "This is some horrible stuff," a border agent said. 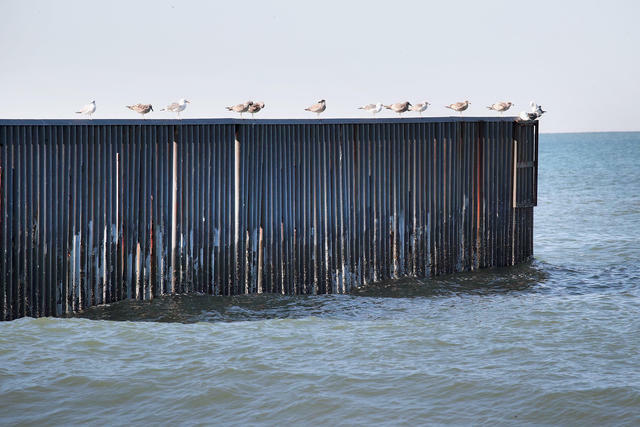 "This is affecting not just the border agents, but everyone who recreates down there." 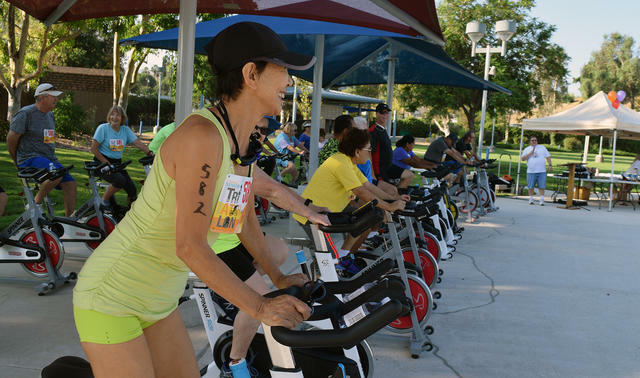 Athletes competed in a senior triathlon in Loma Linda in 2017. Loma Linda is one of the world's five so-called Blue Zones, regions with unusually high rates of longevity. The community of 25,000 or so people just south of San Bernardino is home to one of the country's highest concentrations of Seventh-day Adventists, whose congregants live as much as a decade longer than the rest of us. The faith instructs its followers to treat their bodies like a temple. That means little meat, no cigarettes or alcohol, and plenty of exercise. Researchers of the Adventist lifestyle have also identified another possible source of longevity: downtime. The Sabbath is observed on Saturdays, a time for worship, family gatherings, and rejuvenation.